I had the pleasure of experiencing this story for the first time along with a class of Kindergartners in the classroom I was subbing in. I read it to them during their snack time and it was pure joy. There was a lot of laughter and it made for a great read-aloud with all the different voices. 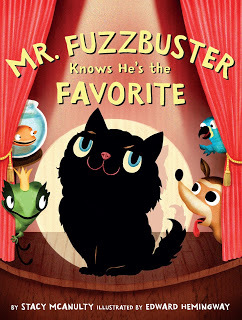 Mr. Fuzzbuster is Lily’s cat and he was her favorite (and only) pet until four other pets decided to join the family. He felt it was time to let the other pets know that he was still the favorite pet of Lily’s. As he waits for Lily to respond to his question, he is shocked to hear her answer and wonders if they can all be part of one big happy family sharing a bit of Lily’s heart with each other. I know I tease my sisters about being the favorite daughter and my kids often have battled over who is the favorite. If that happens in your house, this story would make a great way to end that argument. 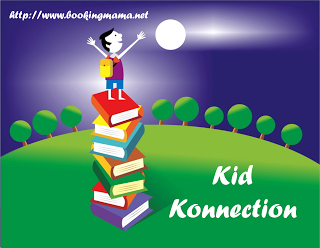 The dialogue is funny and shows the love between a child and a pet on every page. 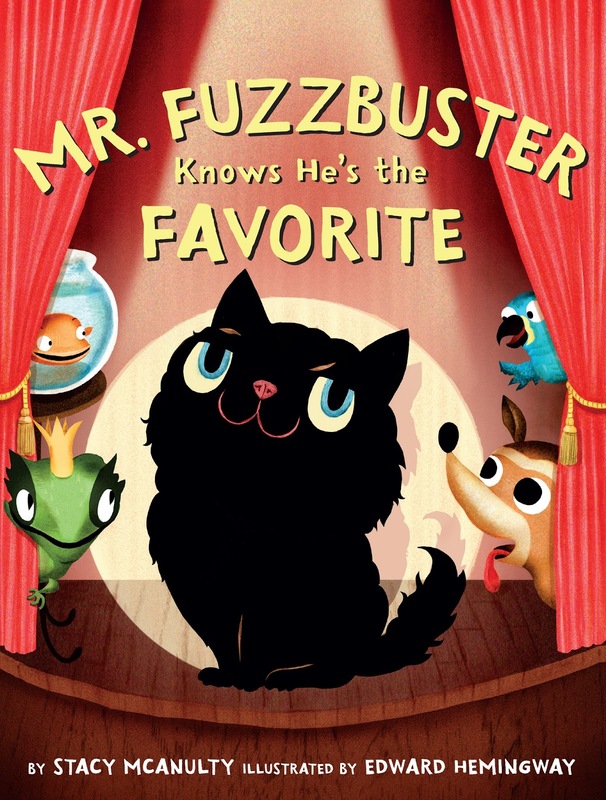 I had so much fun reading the voices of the bird, lizard, fish, and dog, as well as Mr. Fuzzbuster. The book has full-page, vibrant illustrations with each pet showing their personality. You can tell when the pets are sad, scared, or happy just by looking at the illustrations. Hemingway has illustrated numerous children’s books and is extremely talented. The kindergartners I read to today loved the pictures as much as the story. The pages are a nice heavy weight paper which makes tearing the pages more difficult. This book is very high quality and durable for younger children. If you are a cat-loving family (like we are) or have lots of sibling rivalry in your house, definitely check out this book for your toddler to lower-elementary-aged child. It would be a cute book to add to your Easter basket as well. 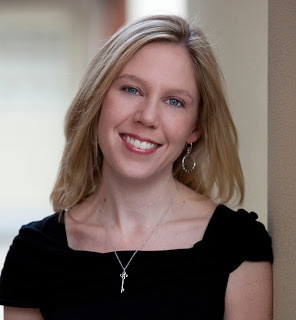 EDWARD HEMINGWAY is certain he’s Stacy McAnulty’s favorite illustrator, although the illustrators of Stacy’s other books may disagree. Edward himself is the author and illustrator of the children’s books Bump in the Night, Bad Apple: A Tale of Friendship, Bad Apple’s Perfect Day, and Field Guide to the Grumpasaurus. Originally from Bozeman, Montana, he now lives in Brooklyn where he teaches creative writing at the master’s level at SVA in Manhattan. If he has any favorite students, he’ll never tell. Learn more about him online at www.edwardhemingway.com. I'll have to check this out! My kids can be pretty competitive. I thought this one was pretty cute too!